Justice Mojisola Olatoregun held that the court lacked jurisdiction to entertain the case. 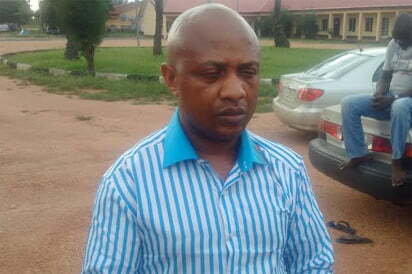 The News Agency of Nigeria (NAN) reports that Evans, through his counsel, Mr Olukoya Ogungbeje, filed the suit in June 2018 and joined as respondents, the Inspector-General of Police (I-G), the Nigeria Police and I-Gâ€™s Intelligence Response Team. Also listed are one Lexus 470, a Grand Cherokee, a Toyota Highlander, 85 Samsung television sets, 45KVA generator, 22KVA generator, 20KVA inverter worth N10 million and five set of freezers. According to her, the main issue to be decided is whether the plaintiffâ€™s claim constitutes a violation of his rights under the Fundamental Human Rights Procedure, adding that the right to own property cannot be denied except for due process of the law. â€œThe only conclusion I can draw is that the property were taken consequent upon his trial for kidnapping before the Lagos State High Court. â€œThis court must be careful not to interfere with due process of the ongoing trial of the applicant before the Lagos State High Court. â€œThis court lacks the jurisdiction to entertain this case; same is hereby struck out,â€™â€™ she held.